Mogul tractors were produced by the International Harvester Company (IHC). IHC was formed in 1902 by the merger of the McCormick Harvesting Machine Company and Deering Harvester Company. a) The Mogul series produced in Chicago (where McCormick had been made). These were sold by the McCormick dealer network. b) The Titan series produced in Milwaukee (where the former Deering products had been made.) Titans were sold by the Deering network dealers. Both lines were similar but were marketed separately. Their development rose from the fact that demand for large tractors used to break up virgin prairie land fell off in the mid-teens. Before that McCormick was noted for its giant 45hp Mogul. This was because the land boom in western Canada collapsed and therefor the sales of the larger tractors, which had been produced before, fell off rapidly to coincide with that. 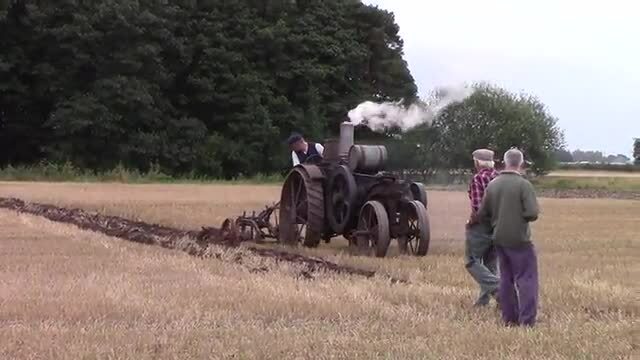 This stimulated manufactures to come up with light weight tractors (2-3 plough) to replace horses on smaller farms. The Mogul 8-16 was built at the International Harvester company Tractor Works in Chicago, Illinois, USA between 1914 and 1917. Farm tractors built at this time were really just mechanical horses used to pull implements. 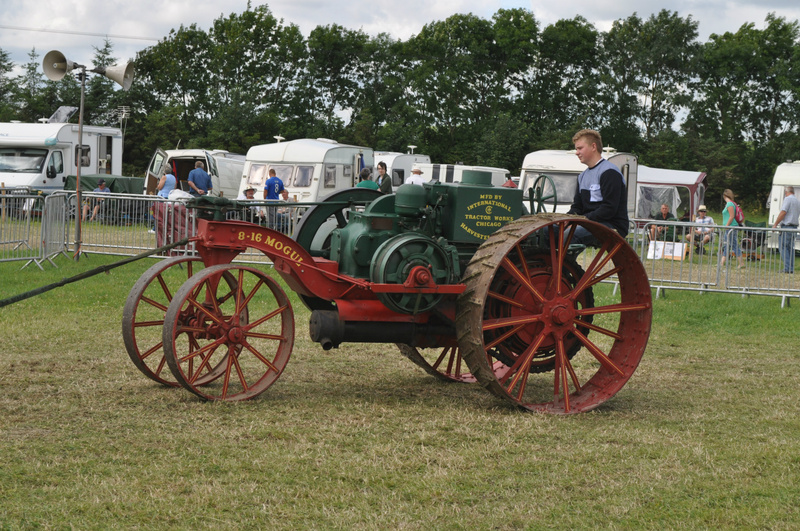 The usually had a belt pulley (as on steam engines) to drive threshing machines and other stationary implements. The new Mogul 8-16 tractor was a true light weight, weighing 5000 lbs. and had a 2-plough rating. 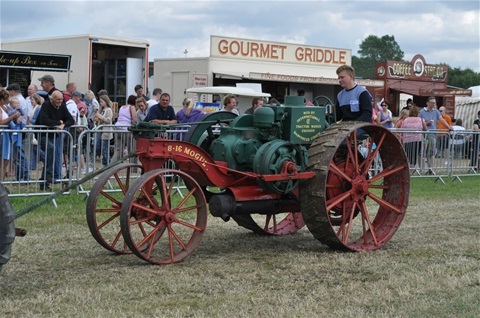 Its arched front frame with its closely spaced front wheels allowed it to turn sharply and the ends of the rows in small fields so it scored well on manoeuvrability. Its design was simple, it was reliable and its large single cylinder engine and 2 drive wheels (compared to the 1 drive wheel of the Bull tractor which it began to replace) gave it enough power to pull a 2 bottom plough in most soils. It had 1 forward and 1 reverse gear. The engine and other components were mounted individually on a steel girder frame making them easy to service. About 500 Mogul 8-16s were imported to Britain between 1915 and 1918 most through Ministry of Munitions orders for the war. About 6000 tractors were imported altogether from the USA at that time to help with WW1 food production. Wheels Front 36”x6”. Rear 54”x 10”. Steel. The Mogul 10-20 tractor was built in the tractor works of the International Harvester Company in Chicago Illinois USA from 1916 to 1919. This was another light weight tractor based on the Mogul 8-16 but with a larger engine and 2 forward speeds. (There was an older version of the 10-20 built around 1911/12 but this was much larger, heavier and much less manouverable). To produce the new 10-20 the company increased the engine bore of the 8-16 by half an inch to give it more power and also added 2 forward speeds. 8985 Mogul 10-20s were built in total from 1016 to 1919. It was superseded by the McCormick Deering 10-20. Wheels front 36”x6”. Back 54”x10”. 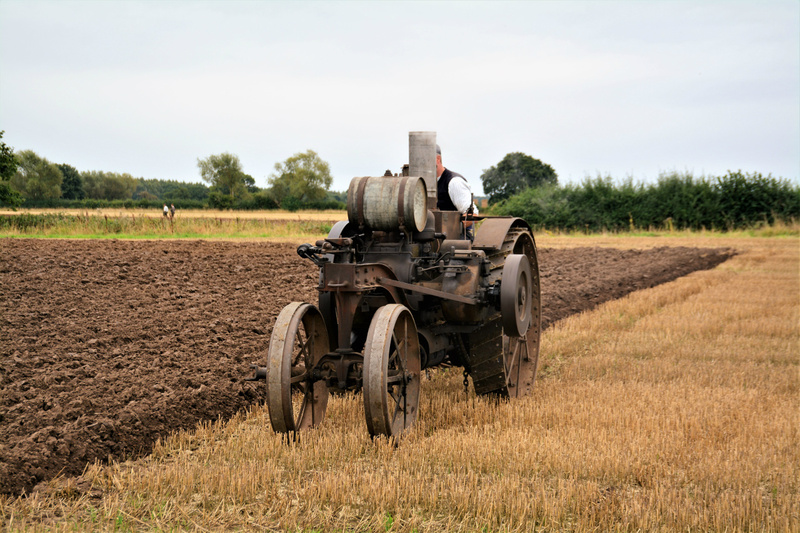 An IHC MOGUL 10-20 taking part in a ploughing demonstration at the World ploughing Championships near YORK in 2016. Not bad for a 1917 tractor!